Silicom’s 10 Gigabit Ethernet PCI Express server adapters are designed for Servers and high-end appliances. 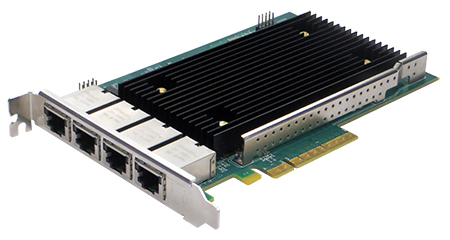 The Silicom 10 Gigabit Ethernet PCI Express Server adapters offer simple integration into any PCI Express X8 to 10GBase-T Gigabit Networks. The performance is optimized so that system I/O is not the bottleneck in high-performance networking applications. 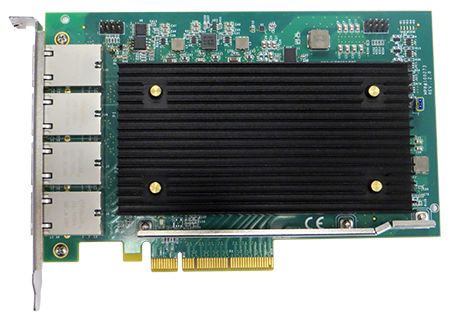 The Silicom 10 Gigabit Ethernet PCI Express server adapters are based on Intel® XL710BM1 Ethernet controller with fully integrated Gigabit Ethernet Media Access Control (MAC) and Intel® X557-AT4 10 GbE PHY. In addition to managing MAC and PHY Ethernet layer functions, the controller manages PCI Express packet traffic across its transaction, link, and physical/logical layers. Using hardware acceleration, the controller offloads tasks from the host, such as TCP/UDP/IP checksum calculations and TCP segmentation. • Integrated 10 Gigabit Copper PHY supports 10GBASE-T, 1000 BASE- T and 100BASE- TX. • Triple speed 10Gbps (10GBase-T), 1000Mbps (1000Base-T) and 100 Mbps (100Base-Tx). • RJ-45 connector supports CAT 6A cable. LEDs location: LEDs are located in the RJ45 connector port.